The Governor of the State of Osun, Ogbeni Rauf Aregbesola will on Tuesday, February 6, 2018 swear-in the 389 Councilors elected in the last Local Government election in the state. The oath of office will come up at the Bola Ige’s House Grounds, State Secretariat, Abere holds at 10am. According to a statement issued by the state Commissioner for Information and Strategy, Mr. Adelani Baderinwa noted that expected dignitaries at the event include top government functionaries, political parties’ leaders and sundry stakeholders across the state. Baderinwa said the swearing in ceremony would afford Mr. Aregbesola the opportunity to pass the operational guidelines for local governments and the direction to which the incoming operators should follow. 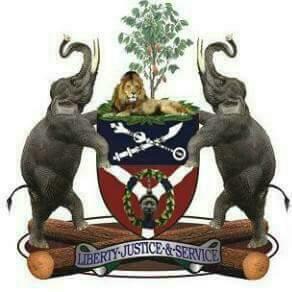 "It will be realled that the Osun Independent Electoral Commission (OSIEC) on January 27, 2018 conducted elections into 71 wards while 318 candidates were returned unopposed by the electoral body, in accordance with provisions of the laws made by the House of Assembly setting the local governments up and stating its administration. "The 30 local governments and 37 local Councils Development Areas, Area Councils and Area Offices will commence work immediately after the swearing in," the statement reads. Amiloaded readers are solely responsible for their comments, Their comments does not represent the views of the admin. We have a comment policy, if we find your comment insultive and not good for others to read, we will be forced to remove it.